In this tutorial, we look at the process of creating and incorporating eBooks, special reports, and PDF guides into your content marketing mix. 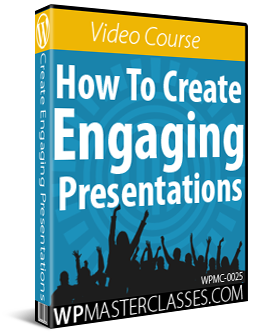 How To Turn Your eBook Into An Online Course. e-Books (electronic books) are an effective method of using content to establish authority and expertise and can bring an entirely new audience to your business, website, or blog. e-Books can be as short as a special bonus report that you give away to entice prospects to sign up to your newsletter, or they can contain many pages of information. Your e-book can be written from personal experience to document your knowledge or expertise, or it can be ‘ghost written’ to take advantage of an opportunity that you have identified in a market you may know little to nothing about. If you have done anything over a long period of time, you should have some level of expertise or unique insight about your field, industry, or niche that you can use to write a book about. If not, you can hire a freelance writer to ghostwrite you an 80-100 page e-book. An experienced writer can create and deliver you a finished e-book in as little as a month or two. You can write an e-book using a word processing application like MS Word and publish it for distribution as a PDF file. You can write an e-book about any topic. “How To” guides that help people solve urgent problems or “step-by-step guides” that help people learn useful skills to improve their lives or their businesses make great topics for e-books because they allow the audience to gain immediate access to information after purchasing, as opposed to waiting days or weeks for the delivery of a physical book. You can insert your business into your e-book content by discussing a problem or challenge related to the topic and then showing readers how your product or service can help them solve it, or get better, faster, cheaper results. e-Books tend to work well in niches where consumers are hungry for knowledge, want immediate access to information or results, and have money to spend. 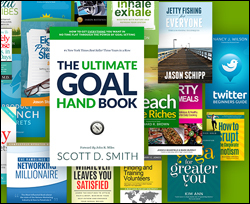 Some popular e-book niches include internet marketing, making money, saving money, sales and marketing, starting a business, health, fitness, weight loss and nutrition, recipes, beauty, hobbies, relationships, personal development, DIY projects, and many other areas. e-Books can also be priced lower than physical books because there are no costs associated with shipping or materials and no physical waste associated with production. You can use the fact that digital publications are “greener” and in many ways better for the environment as a selling point and offer no risk to the buyer (you can offer readers a 100% money-back satisfaction guarantee) to encourage them to purchase. If the idea of creating an e-book appeals to you, then invest a little time doing some market research before you start to confirm that there is an audience who is not only hungry for your topic, but also hungry enough to pay for information about it. Whether you plan to create an e-book to sell as an information product or give your book away for free to gain more exposure for your business, educate potential customers, build a list, etc. publishing an e-book that provides audiences with valuable, useful, and helpful information can greatly benefit your business, website, or blog for many years to come. Add a “Resources” section at the end of your book with links to other useful resources, websites, references, a summary of other books you have written, recommended products with affiliate links, your website contact details and links where readers can follow you on social media, etc. If your book contains links to external sites, consider using a link management tool like Trackerly to manage your links. This way, if a link in the book pointing to a URL on a reference website changes, or the web page or website is taken down, you won’t need to update your content and redistribute your book and your readers won’t be dismayed or disappointed to find that they have clicked through to a dead link. You can simply change the link destination and point it to another URL from the dashboard of your link management tool and the link will immediately update inside every copy of your e-book. For a great link management and redirection tool, check out Trackerly. It’s important to design an attractive eBook cover for your publication. You don’t have to hire an expensive designer to create your eBook cover. You can use Photoshop with action scripts that let you create eBook covers, such as CoverActionPRO. 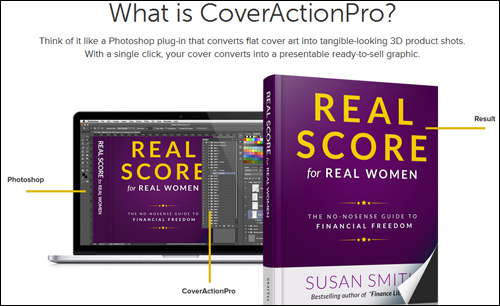 CoverActionPRO is a Photoshop Plug-in that lets you create high-quality, realistic ebook covers and product shots. 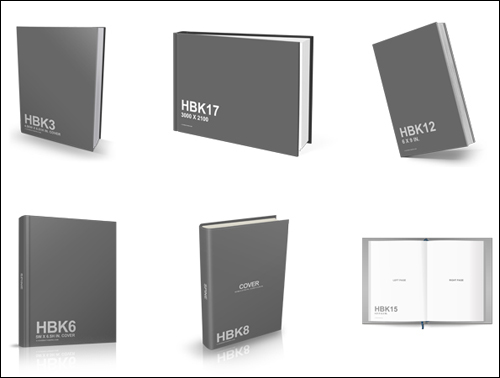 Essentially, you create a flat book cover image and then use an ebook or product shot template in Photoshop to create your eBook cover. Using a program like CoverActionPro requires Photoshop. If you don’t want to invest in a program like Photoshop but would still like to be able to create your own images, then you may want to look at a free software program called GIMP. GIMP (GNU Image Manipulation Program) is a free graphic editing software that requires no Photoshop skills and can be used to create and edit images, Facebook covers, video graphics, flyers, infographics, business cards, YouTube channel art, banners, headers, and more. Note: If you’re using GIMP, action scripts for Photoshop like those of CoverActionPRO will not work. PixelStudioFX is a cloud-based professional eCover creation software tool with unlimited use. It’s a powerful, yet simple and easy-to-use tool that lets you create amazing eCover images in under 60 seconds. Export high-quality, professional eCover designs in PNG, JPEG, TIFF, or PDF. Generate ecovers for eBooks, Kindle, iPad, books, magazines, etc. Canva is a free online tool that lets you design and create stunning covers for books and a variety of other uses. There are different ways to establish the value of your ebook and its content. Many successful ebook sellers recommend determining the price of your ebook according to what the reader sees as its value, not based on what you perceive its value to be. Here are a few things to keep in mind to help you price your ebook for maximum profits. The law of supply and demand is simple. Sell what people are looking for and willing to buy, and find a void to fill. Many people think that there is way too much competition and not enough opportunity online. This type of thinking helps to raise prices for commodities since things that are new become scarce, which then makes these even more valuable in the minds of consumers. If you are able to find the next new popular thing in your niche it will be viewed as something extra special and can be given a high price. Something new on the market can be a best-selling item in no time as long as it fits into this model for supply and demand. Give your customers what they want at a price they are willing to pay. If you have an ebook ready to hit the market, you will need to find out if it is offering something new that the marketplace will consider valuable and be willing to pay accordingly. Look around the Internet. 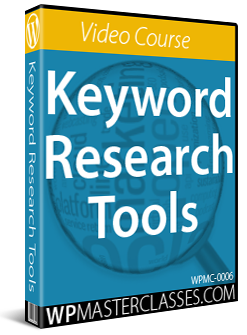 Search Google for the kinds of keywords you are targeting and see what comes up. If there are a lot of other competitors with the same kind of information, you will either need to make your ebook pricing more competitive or boost the value of your offering. Bonuses – If you a publishing an eBook on, let’s say, fitness, you can add a special bonus report on “fat-burning” recipes, or include an accompanying workout video with a PDF transcript and additional exercises, or offer an exclusive invite to a special event, coaching call or webinar just for customers, or include additional topic-related books (you can source these cheaply from PLR or Resell Rights vendors), and so on. Free Updates For Life – If your information is time-sensitive, offer to provide free updates. Discounted Price On Future Products – If you plan to create a series of eBooks or guides, promise a special discount to customers who buy the first book in the series when the next book is released. If your information is something new and fresh, it can be priced higher than the competition based on low supply and high demand. This is only a starting point and you will have to run some further testing before setting a final price. Many ebook authors assume wrongly when starting out that underpricing the product will result in more sales. Seasoned marketers know that this is simply not true … you’re simply devaluing your own book! If you think it’s worth less than your competitors’ books, then the marketplace will see it as low value as well. Once you have set a price for your ebook, start a testing campaign. Just like all Internet marketing promotions, pricing also needs to undergo a testing phase. Start by offering your product at the value you have determined based on supply and demand. If sales are low, try raising the price and then lowering it, and keep track of your results. You may be surprised to see the book sell faster at a higher price than at a lower one. This is often due to the perceived value level determined by the price you have set and how you communicate benefits in your sales copy. There are certain niches where pricing is totally out of your control. There are markets where your ebook would have to be priced high to sell, others low, and some niches have a market that just won’t spend money on anything. Let potential buyers (i.e. your market) tell you what to charge them. You will probably get a lot of valuable feedback from asking this one question and you can then use their responses as a guide. Who would know better than the buyers themselves? After the testing phase has been done, you are ready for a full-blown promotion of your ebook. 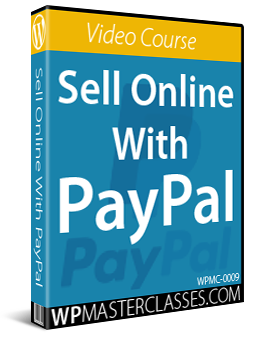 Done right, you should be able to make an incredible amount of sales. If you plan your product launch correctly and promote your ebook effectively, and your book has been priced just right for buyers who are hungry for your information (based on your analysis and testing), there should be no reason for sales of your ebooks not to go through the roof. There’s no such thing as failure in Internet marketing. If you have set everything in place for a successful campaign and it was a flop, then you will have actually gained something very important in your marketing process if you keep a positive attitude and see things from the perspective that something was not set in place properly. A piece of the puzzle was missing. You can figure out if it was pricing, or an aspect of your promotion, or sales copy elements, or a higher profile competitor launching a similar product in your niche at the same time, etc. You can then either fix it up or move onto your next project. You need to find out what went wrong in order to continue your progress and make the next ebook the best seller you want it to be. Pricing an ebook can be done strategically or haphazardly. If you want success, take the methods listed above into account when determining the price of your ebook. Every aspect of your promotion and marketing campaign can be refined and tested until you are sure that you are releasing a winner. Once you have completed your eBook, you will want to create a page or site to showcase it, share the news on social media, publish a press release, and begin promoting it in every way you can. 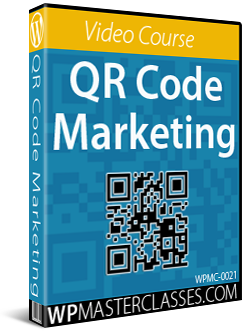 Additionally, you may want to list it in a digital marketplace like ClickBank.com, JVZoo.com, or sell it on the Amazon.com Kindle Book Store. Book is a fully responsive single WordPress theme that is ideal for selling an ebook. This theme features newsletter integration, working contact and twitter feed, one page navigation, Font Awesome Icon Font, Google Map, tabs, a drag & drop visual builder, SEO extensions, analytics, and more. 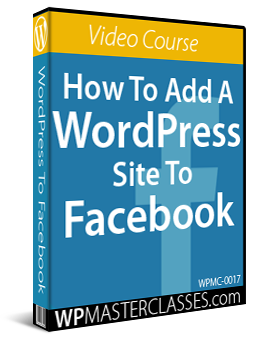 Book also allows you to easily compose, edit, and change pages on the fly with minimal effort and knowledge of WordPress using drag and drop. 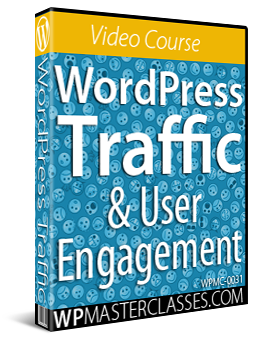 Webbie allows you to easily write, present, and sell your ebook on WordPress. Brown is a responsive WordPress theme designed to allow eBook authors and marketers to create awesome landing pages quickly and easily. Brown features a powerful drag and drop page builder, unique “Book Preview” mode, boxed and wide page layouts, support for single and multiple pages, Retina display, dark and light background options, custom icon font importing, unlimited colors and fonts, and more. 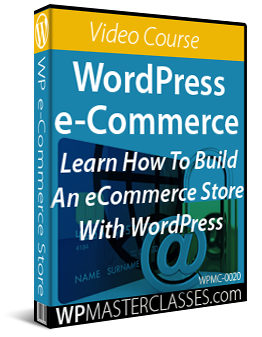 Book Guide is a robust, modern, and responsive WordPress eCommerce theme that lets you easily set up an online book store on your website. Book Guide comes with multiple homepage layouts and different colors, WooCommerce Shopping Cart integration, and CVS importer integration, allowing you to import multiple eBook file data at once. 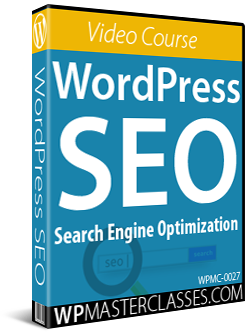 This theme also provides multiple layouts, multiple slider options, different header and footer variations, boxed, wide, fullwide and fullscreen page layouts, support for multiple book authors, and more. eBooks are a great way to promote your expertise and reach a new audience for your business. Browse digital marketplaces like Clickbank.com, or go through the Amazon Kindle e-books section. What topics in your niche are trending and selling well? Visit bookstores and check magazines where large companies advertise in to get ideas of topics that people are buying. Could those topics translate to an e-book? 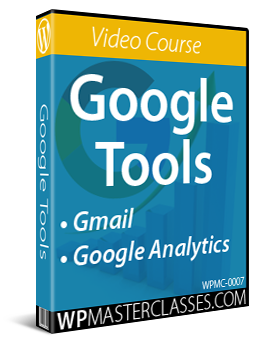 Track the frequency of advertising in popular magazines, paid publications, and even Google AdWords. Companies that spend big on advertising and run the same ads every month is an excellent indicator of a niche that has hungry buyers with money to spend. 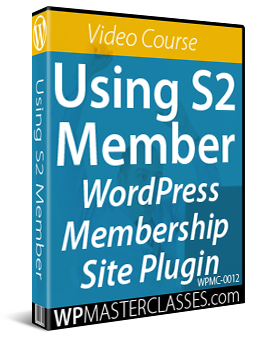 In the next tutorial, we’ll explore the use of User Generated Content (UGC) as content for your WordPress site or blog.